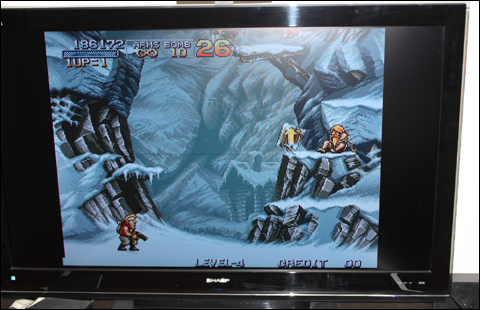 So, where's the perfect tv for playing a 16 bits system? The 16:9 format is automatically banned, as it's particularly unsuitable for old videogame systems. This of course excludes all flat screens models... 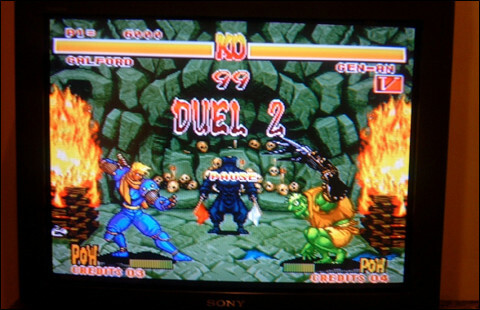 In addition, the "new generation" screens (LED, LCD and Plasma) are designed for HD (high definition) and so do not provide an ideal support for the Neo Geo, or any other console that is not 'HD Ready' since these TV don't offer interlacing for the picture (scanlines) and therefore invariably offer a pixelated rendering, or even blurred when using filters for image enhancement. The only existing alternative to play on this type of screen is the XRGB-3, which touts an article on Neo Geo Kult. Changing your console with the addition of YUV ports will not change much about the problem, since it is mainly conceptual (low resolutions are used, 320x224 in general). The video-projector is an interesting choice for those who want to play on a very large screen, since this material has the the larger models. The disadvantages are many: poor brightness and contrast, display little optimized for gaming systems, size too elevated resulting in loss of quality. The OHP is in my opinion the second "best" choice. It offers acceptable brightness and contrast, TV-type interlacing, and a good size ranging between 104 and 140cm. It's already great to play, the quality of the image is more than decent, and stands above all other models we talked about before in terms of rendering. 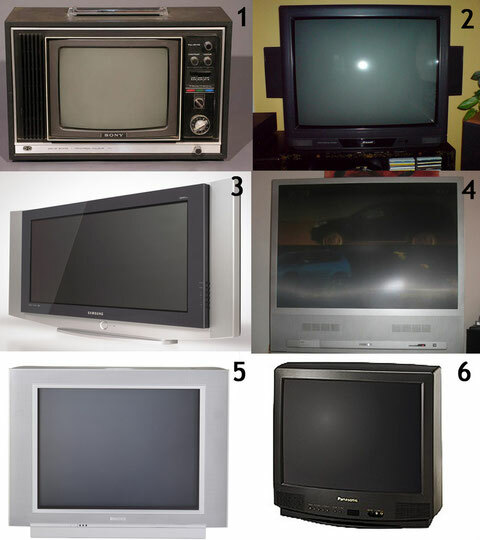 But you might already know it, the best choice - by far - is still the good old CRT. Definition, interlacing, brightness and contrast suit perfectly to the Neo Geo and other contemporary systems. Forget the very old models (prior to 1990) because they generally do not provide a good picture, the tubes being largely overtaken by newer models. Moreover, these old TV doesn't always pack an NTSC scart output, necessary to display a perfect 60 Hz picture (full screen, 20% faster). Then, you have to choose the shape of your screen. In the line of CRT, two forms exist: those with flat screens and square corners, or rounded ones. If the first are more recent and perfectly suited for viewing movies or TV, our good old Neo Geo was designed to run on curved screens. Adjust the geometry perfectly on a flat screen is nearly impossible, and the display - although almost perfect - sometimes suffers from small deformations. The curved screen captures the image as it was thought at the outset, and it is clear: your choice should be focused on this very type of TV. 1. Too old 2. Low range 3. Flat,16:9,HD... avoid! 4. Too big, not enough bright 5. Flat, square corners... 6. THIS IS IT! 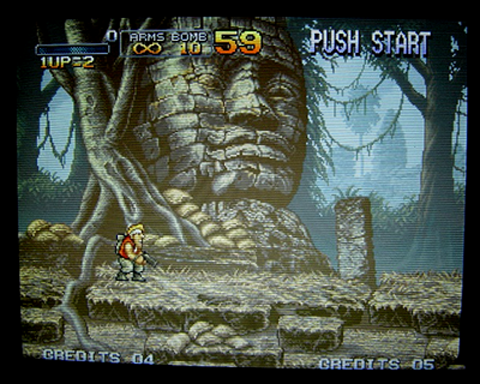 A great picture here, for this Metal Slug running on a CRT. On this rounded-screen Sony CRT, Samurai Shodown rocks! When an upscaler is used, the picture on a LCD screen is still pretty good. 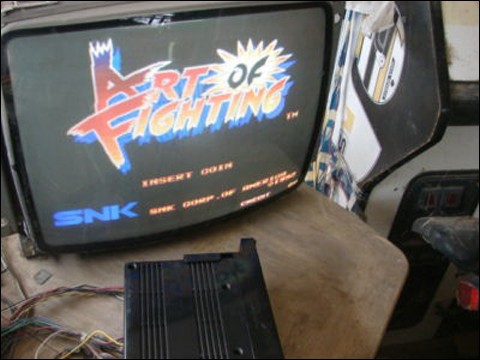 On this old monitor, Art of Fighting still looks fine!